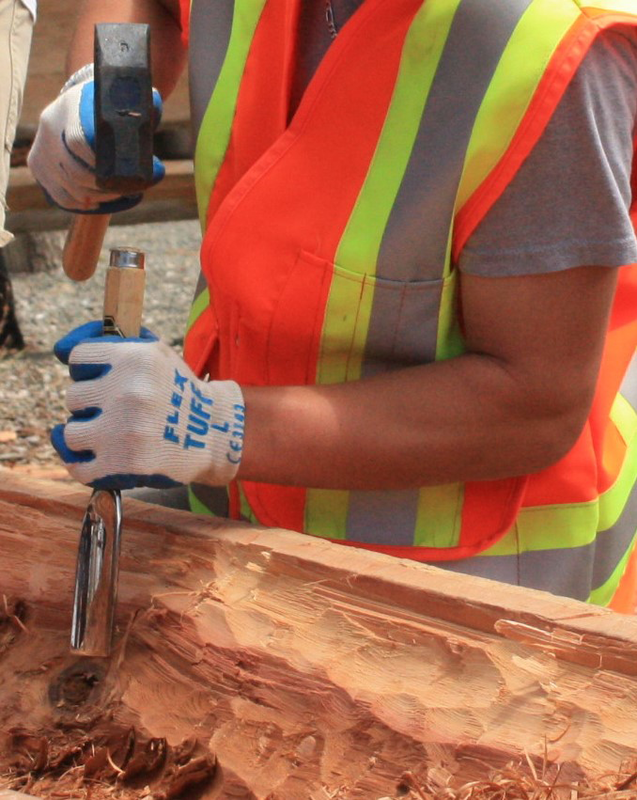 Hollowing a log for a traditional canoe is one of the ancient skills being reclaimed by the Coquille people. Self-sufficiency is a guiding principle for the Coquille Indian Tribe. It applies to our Tribe as an organization, and to our people as individuals and families. It is reflected in all our Tribal policies and programs. Unlike many Indian Tribes, we do not use the income from our Tribal enterprises to make “per capita” payments to our members. Instead, we focus our efforts on strengthening our membership and building our people’s future. We pursue these goals with three main strategies. One is benefits for Elders – meeting their needs, ensuring their security, and preserving their independence. The second is health care – providing services to keep our members strong and safe. The third is education – providing financial help and other services that help our members improve their ability to support their families. Instead of merely meeting our members’ current needs, we believe we are investing in their long-term futures. We also believe in investing in the communities where we live. We know that our people cannot prosper unless the society around them is economically vibrant. The Mill Casino-Hotel and our other enterprises pump more than $20 million a year into local salaries and benefits, with more than three-fourths of that amount going to non-members of the Coquille Tribe. We purchase more than $25 million a year in local goods and services. Again, more than three-fourths of that amount goes to non-members. And our Coquille Tribal Community Fund has injected millions of dollars into the area’s non-profit organizations. We like to say, “A rising tide lifts all canoes.” As we work diligently to improve the welfare of the Coquille Tribe’s people, we always keep in mind our obligation to share with our neighbors.